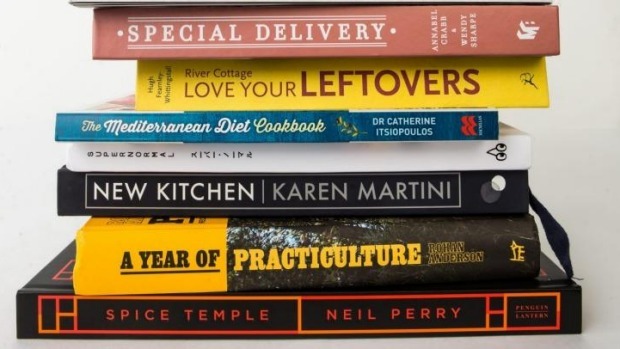 The Good Food team reviews this year's Christmas hit list of cookbooks. 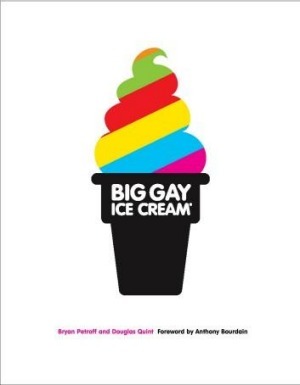 Big Gay Ice Cream by Bryan Petroff and Douglas Quint. Doug Quint and Bryan Petroff are the two New Yorkers who won the hearts and minds of America in 2009 with a rainbow-emblazoned Mister Softee truck, fancy soft serve toppings and hilarious banter. Their first book, designed like a high school yearbook, is full of bad hairstyles, playlists for ice-cream socials and stories about the time they held a food seminar in a funeral home. It's also really useful, starting basic with ways to gussy-up store bought ice-cream, and more complex make-it-from-scratch recipes. 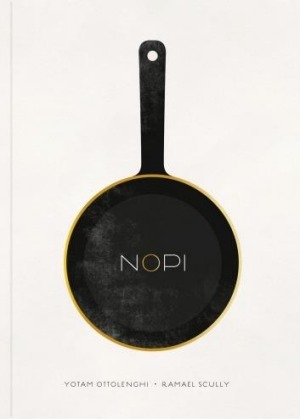 NOPI: The Cookbook by Yotam Ottolenghi and Ramael Scully. Banana leaves and barberries. Rice vinegar and rose petals. In this gilt-edged cookbook Jerusalem-born celebrity cook Yotam Ottolenghi and Malaysian-born, Australian-raised head chef Ramael Scully pool their cultural influences on dishes from the menu of London's NOPI restaurant. Ottolenghi warns that home cooks may find the recipes challenging. He's not kidding. Some involve six components and arcane ingredients such as cocoa nibs and date syrup. 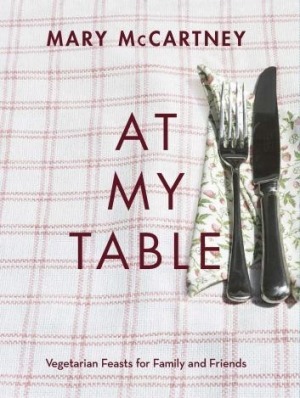 But while less accessible than Ottolenghi's previous cookbooks, fans will find plenty of inspiration. "Bring a plate" occasions. Potluck dinners. Cooking for new parents, the bereaved or the overwhelmed. The host of ABC TV's Kitchen Cabinet has enlisted her bestie to help write this cookbook, featuring dishes that are good to go, tips for successfully transporting them and suggestions for matching recipe to recipient. Recipes range from hot chocolate mixture in a jar to a lavish vegetarian moussaka. Crabb is renowned for toting desserts to politicians' houses and it's the sweet dishes that really shine. 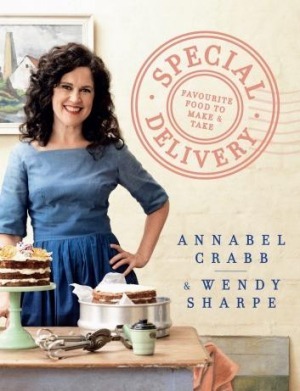 Special Delivery by Annabel Crabb and Wendy Sharpe. 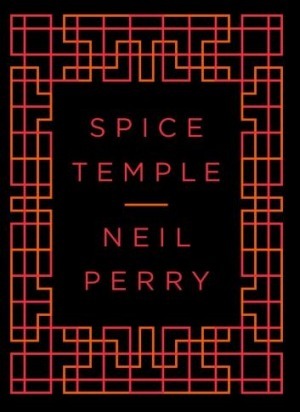 Spice Temple by Neil Perry. On first flip-through of this beautifully photographed, black-and-red book I felt daunted. Each recipe required another recipe (like salted chillies, which I should have started two weeks ago). Lots of dishes hail from the fiery Sichuan province (a win for chilli fans, choose carefully for kids), and there are some cool speciality ingredients, such as wild bamboo pith and yellow rock sugar. This isn't for the fast, midweek dash; this is an exciting, challenging collection. I don't mean to bring out the "J-word" but once you were set up with some basic preparation underway, this book could take you on a grand culinary journey. I made: Masterstock (easy and aromatic) and red-braised lamb. Winner. 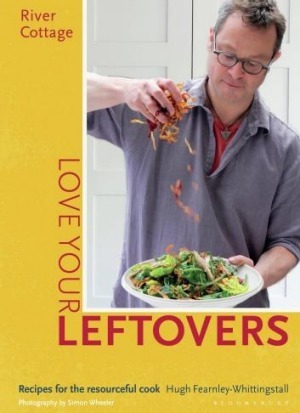 River Cottage: Love Your Leftovers, by Hugh Fearnley-Whittingstall. Oooh, leftovers. I went to a mate's place once and was served reheated, two-day-old pasta. If only she'd had this book, we could have cheers-ed over a whiz-bang spag bol omelette or fab frittata. This cheery yellow offering by River Cottage's Hugh Fearnley-Whittingstall worships the pre-loved ingredient. Mushy tomatoes? Shazam! A savoury supper of eggs. Yesterday's roast lamb? Hello lamb and mint cous cous. Each chapter is colour-coded for easy reference from roots to rice to bread to fish (which HFW reckons is the king of the next-day meal). Some dishes seem a little far-fetched (broccoli stem carpaccio, anyone?) but this is a fun, useful read. 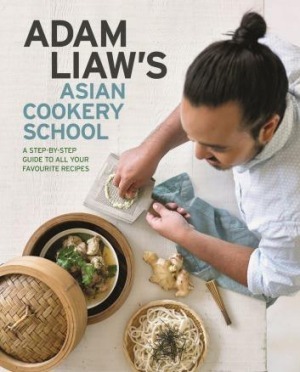 Adam Liaw's Asian Cookery School by Adam Liaw. 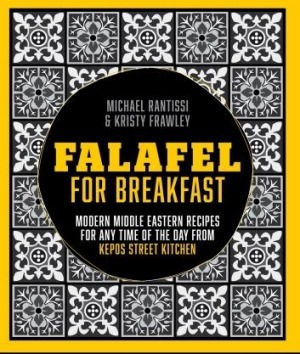 Falafel For Breakfast by Michael Rantissi and Kristy Frawley. Asian cookery enthusiasts, welcome to your manual, a brilliant step-by-step guide in the tradition of Julia Child. Recipes are easy and well-organised, covering a range of Asian cuisines with an emphasis on Japanese. In how-to style, there's at least one picture, or multiples, for every dish. Detailed explanations give clear guidelines of the basics, from using the right equipment to seasoning a wok, so there's loads of support for the home cook. One minor downer, there's no ribbon, so keep the bookmarks handy. 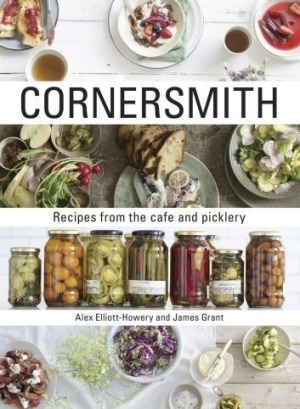 Cornersmith by Alex Elliott-Howery and James Grant. When Kepos Street Kitchen opened in Sydney's Redfern in 2012, the queues soon followed for its Middle Eastern riff on weekend brunch. Many of the menu crowd-pleasers feature in this book, including the falafel, shakshuka and gorgeous summer drinks. Vegetables are given a flavour injection (cumin, coriander and green chilli), and there's a whole section devoted to shareable dishes, but some make great midweek meals too. And sweet tooths rejoice. They've included the recipe for their chocolate halva brownies. At My Table by Mary McCartney. This is the kind of book that makes me want to be a better person. A bottler, a preserver ... the kind that starts a tomato day tradition with family and friends to stock up on passata. Written by the husband-and-wife team behind popular Sydney cafe Cornersmith, the book is divided seasonally, plus there's a chapter at the back devoted to the ins and outs of preserving. If you've ever been tempted to get your pickle on, this book is a good place to start. New Kitchen by Karen Martini. "If you're not in the mood to cook, if you're just not feeling it, don't do it." This advice in the introduction to Calombaris' fifth cookbook goes a long way to explaining his success as a restaurateur, TV host and author; we only ever see the love. I started with souvlaki – an entire chapter – and started craving the lamb souvla mixed with miso eggplant. Accessible and exciting recipes. 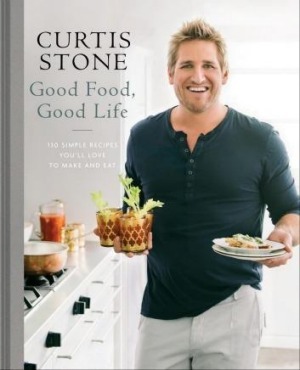 Good Food, Good Life, by Curtis Stone. 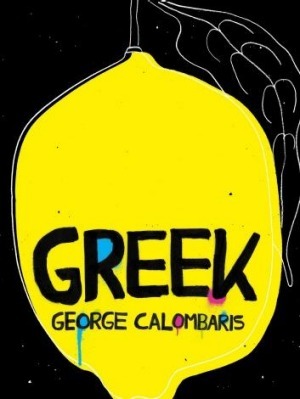 Good for: Those who've already succumbed to Calombaris's recipes, but equally those who've not. McCartney? Yes, as in the daughter of Paul and Linda. It would be easy to dismiss this as a celebrity's whim. But At My Table wins me over with its practicality. Based on celebratory menus, McCartney shows vegetarian dishes (and guests) needn't play second fiddle at special occasions. I love the My American Side chapter – a US-style barbecue feast featuring black bean burgers, creamy salads and key lime pie. It's a lovely homage to McCartney's clearly happy years growing up in a household that famously eschewed meat, with plenty of brainwaves inspired by her own young family. 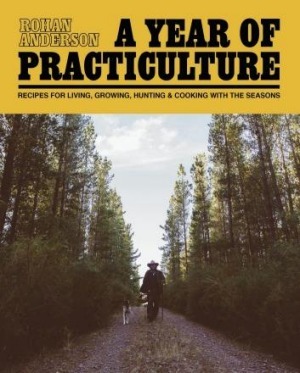 A Year of Practiculture: Recipes for living, growing, hunting and cooking with the seasons by Rohan Andeson. 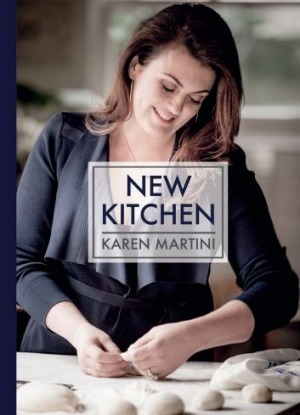 You know the name, you know the face, and with seven bestseller cookbooks, chances are you've cooked or been served a Karen Martini dish. New Kitchen is a collection of recipes inspired by past and present and it's clear south-east Asia, particularly Japan and Korea, has been a big influence of late. You'll find pho, bibimbap and shoyu ramen​ alongside re-vamped ricotta ravioli and bolognese-style mushroom ragu. My favourite chapter? Hands On: leave the cutlery in the drawer, with empanadas, spiced pork belly bao and Korean-style fried chicken, Pass the serviettes. 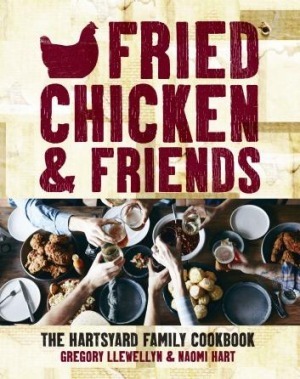 Fried Chicken and Friends: The Hartsyard Family Cookbook by Gregory Llewellyn and Naomi Hart. This is far from the coolest cookbook released this year (I spied it on sale at Kmart for $10) and while Stone isn't fermenting bunya nuts in birchwood, the recipes here are exactly the no-fuss dinners you want to cook midweek and eat with mid-priced plonk. I never thought the recipes I cooked most in 2015 would be from a Coles-spruiking, hang-tenning, Chesty Bond lookalike, but here we are. 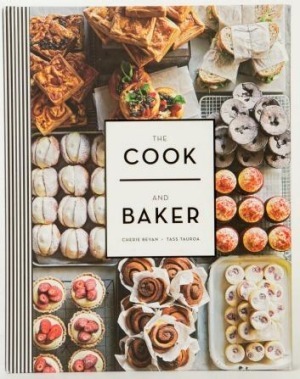 The Cook and the Baker by Cherie Bevan and Tass Tauroa. Wowee, this is a gorgeous book. 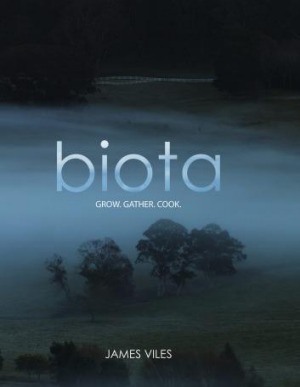 Photographer Jason Loucas has done a knock-out job of capturing both the beautiful, composed dishes James Viles creates at his two-hatted Bowral restaurant and Biota's sense of place in the Southern Highlands. Are you going to whip up pork neck in eucalyptus with chestnuts for Tuesday dinner? Probably not, but you might take its chestnut creme component and use it with the pigeon cooked in maltstock. 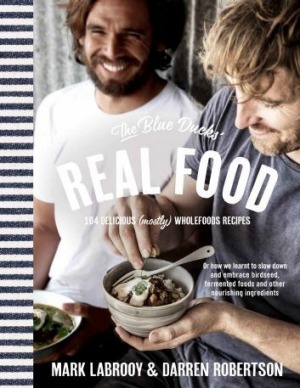 The Blue Ducks' Real Food by Mark LaBrooy and Darren Robertson. I was sold on the cover alone for Ro Anderson's second book; the Whole Larder Love blogger and legend bloke photographed in the forest like a foraging cowboy mystic, dog at his side, basket in hand. The pages are alive with charming, witty and considered stories about everything from growing broad beans, to deer hunting to a little goose named Ryan the Gosling and based around a year of Anderson's living on the Victorian land. There is nothing here I don't want to cook, ideally with Neil Young's Harvest spinning on the side. 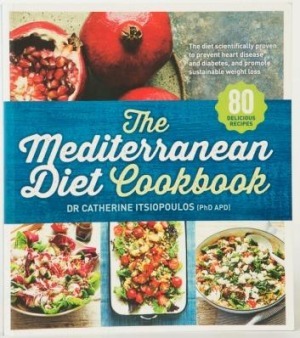 The Mediterrranean Diet Cookbook by Dr Catherine Itsiopoulos. 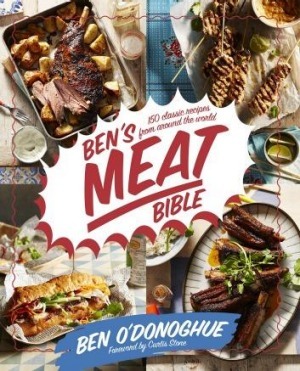 Ben's Meat Bible by Ben O'Donoghue. This book from Newtown's hip fried chicken hotspot Hartsyard is a recipe for a rollicking good time. Following a 20-page ode to fried chicken, these recipes help you create your own southern-US feast – perhaps hush puppies, salad dressed in pork fat and fancied up beef shin. Recipes tend to be less refined than the restaurant, and the book is peppered with candid stories and family recipes, including cookout classics such as collard greens and thick sausage gravy. This Bondi (via New Zealand) bakery's book is full of home-baking favourites – think praline-topped palm-sized Afghan biscuits and raspberry coconut ice. The cook (Bevan) and the baker (Tauroa) share nostalgic CWA-style "Kiwiana" classics from across the ditch, and give a diplomatic nod to the pavlova and lamington debates. On the savoury side, you'll find simple pastries for neat quiche cubes and flaky pies. A fine selection of slices, bikkies, tarts and trans-Tasman showstoppers; hummingbird cake topped with mango ribbons is sure to be a summer stunner. As with anything carrying the name of Melbourne's most prolific restaurateur, this softcover volume is impeccably stylish. McConnell details the evolution of his hit Asian canteen from early days cooking in Hong Kong and Shanghai, to experimenting at St Kilda's Golden Fields. 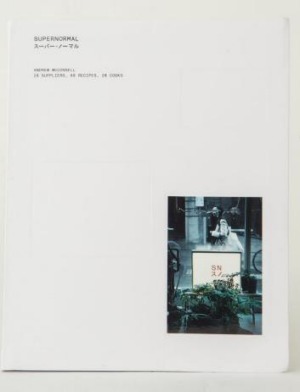 The 89 recipes are a modern mash-up of Chinese, Korean and Japanese flavours, evocatively photographed by Earl Carter, with a clever appendix categorising dishes into genres such as "picnic" or "weeknight dinner". It's a succinct snapshot of one of our most striking venues. From fine-dining origins (the pair met in the kitchen at Tetsuya's), these Bronte hipsters opened a cultishly successful cafe with spinoffs in Byron Bay and Falls Creek. Like the guys themselves, this collection is laid back, healthy and very good looking. The 104 wholefood recipes are a snapshot of what people are eating right now: kale, quinoa, kimchi, easy curries, quick salads, barbecued meats and seafood. There are also handy how-tos on poaching eggs, opening oysters, making stocks and preserving vegies. One to take to the beach this summer. I made: Braised lamb shoulder – the "One Pot Wonder". Go-to recipe: Nana Barney's legendary love cake. The author of this cookbook is head of dietetics and human nutrition at La Trobe University. And clearly a food lover. There's no sense of austerity among these pages – just sensible advice about shunning fad diets, embracing "the power of plants", and what a balanced plate looks like. You don't need to have heart disease, diabetes or a spare tyre to enjoy dishes such as chickpea and spinach soup, calamari with wild greens, or "Greek dim sims" (cabbage-wrapped lahanodolmades). But if you do, this cookbook may help. Good for: Anyone who needs more vegies, legumes and nuts in their life. Meat, meat, glorious meat. This ex-River Cafe chef, who worked with Jamie Oliver, shares 130 beast-driven hits, from classic meatloaf to hearty shanks to panko-crumbed duck nuggets, advancing Australia's meat-n-three-veg culture. A bright and lively soft-cover offering for creative carnivores.